Heirloom flowers have stood the test of time. Prized for their beauty, scent, hardiness, or other star qualities, these vintage varieties continue to capture our imaginations and decorate our gardens long after they first came to be. These flowers have experience, and now you can enjoy the experience of growing them. 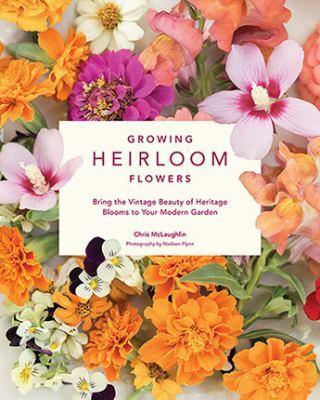 In Growing Heirloom Flowers , author Chris McLaughlin takes you on a tour of these alluring blooms, covering the benefits, challenges, growing requirements, and everything else you need to know about more than forty heirloom flowers.